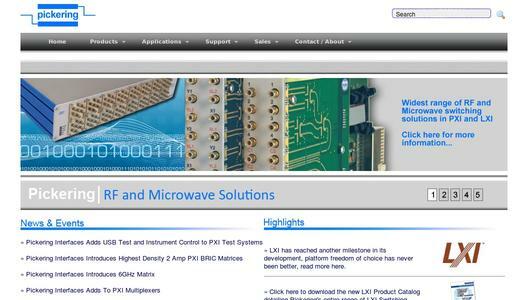 Pickering Interfaces has continued to regularly release new products in both the LXI and the PXI platforms tackling the problems faced by our users in the Automotive industry. For the Automotive Expo show in Stuttgart in June this year we are exhibiting amongst others the following solutions/products on booth 1100 Hall 1. 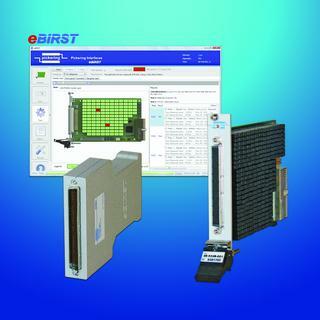 The BIRST tool allows the user to very easily check system switching operation on command. BIRST will identify any relay failures in the switch module and is capable of detecting relays with deteriorating contacts which may indicate they are in the process of failing. To conduct a test the user simply disconnects the switching module from the UUT and runs the supplied application program. No supporting test equipment is needed; the test simply runs and identifies the position of any defective or suspect relays within the module. 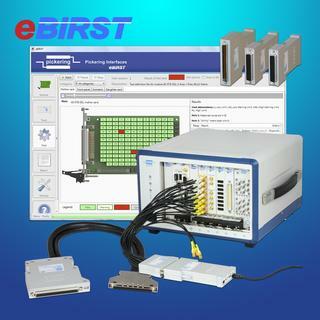 We will present various PXI and LXI modules with BIRST in Stuttgart. The 41-752 Battery Simulator is used by automotive customers to test battery management systems for electric vehicles. 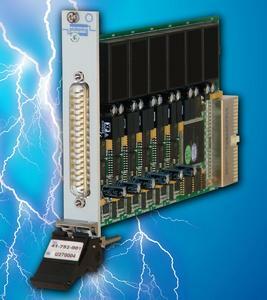 Developed in association with DMC, a systems integrator based in Chicago, the 41-752 is a 6 cell battery simulator that provides up to 300mA of current from each cell. The output voltage from each cell is fully adjustable up to 7V and each cell includes its own sense lines to improve regulation performance. Each cell can be configured to operate as a current sink in a battery charging circuit of up to 100mA. Cells and modules can be series connected to emulate the battery stacks being used in new generation electric vehicles. More than 100 cells can stacked in series in a single Pickering Interfaces PXI or Modular LXI Chassis to allow the testing of battery management charging systems. The independently controlled channels allow the cells to be set to different output voltages to simulate different charge and capacity states. A safety interlock system can be used to ensure that voltage generation is inhibited when the cables are disconnected from the front panel. Outputs are made available on high voltage D Type connectors permitting the generation of voltages of up to 750V. 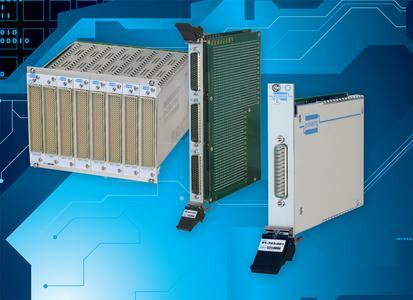 Pickering Interfaces have a broad number of PXI modules specifically designed to support fault simulation applications. The 40-192 is a 6 channel fault insertion switch with two fault busses capable of hot switching signals up to 10A and 200V. The 40-191 uses the same architecture but is capable of switching signals of 30A, 40V and handling surge currents in excess of 120A with no lifetime degradation. Each module is capable of simulating the most common faults found in a system- open circuits and shorts circuits to one of two fault connections. The fast switching speeds ensure the modules can be used to simulate transient fault conditions. Fault simulation is widely used in the process of testing controllers that are required to respond to sensor readings. These include engine management systems, transmission controllers and suspension systems. These systems are often safety critical, so it is essential to check their response to common sensor errors - such as short circuits, open circuits and damaged sensors - to ensure they do not cause unwanted reaction by the control system. A critical example might include the inadvertent shut down of an engine in response to a single sensor failure. Using Pickering Interfaces range of PXI fault insertion products users can develop automated methods of testing controllers, allowing more thorough and reproducible testing to be performed at the design and upgrade phase of controller development. 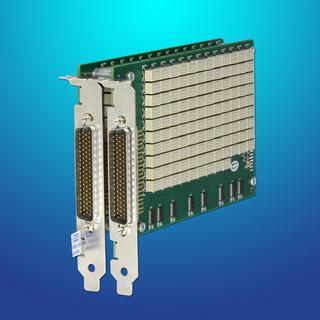 Pickering Interfaces is a market innovator in signal switching and conditioning for a broad range of applications and architectures, with the largest range of switching modules in the industry for PXI, LXI, PCI, VXI and GPIB applications. Pickering Interfaces has provided solutions to both commercial and MIL/Aero applications. In addition, Pickering's range of instrumentation provides innovative test solutions to users and integrators of modular test systems. Pickering Interfaces operate globally with direct operations in the US, UK, Germany, Sweden, France , Czech Republic, and Engineering support in China, together with additional representation in countries throughout the Americas, Europe and Asia.